All fitness levels welcome at this workout. 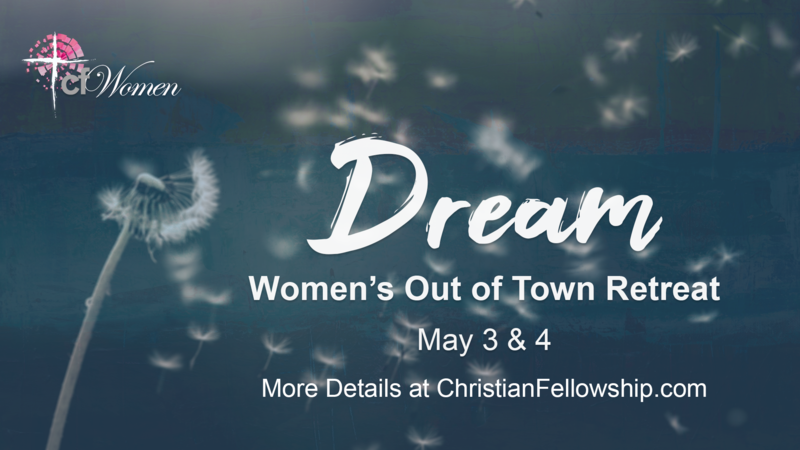 Space is limited so sign up today! All are welcome as we celebrate Easter together! 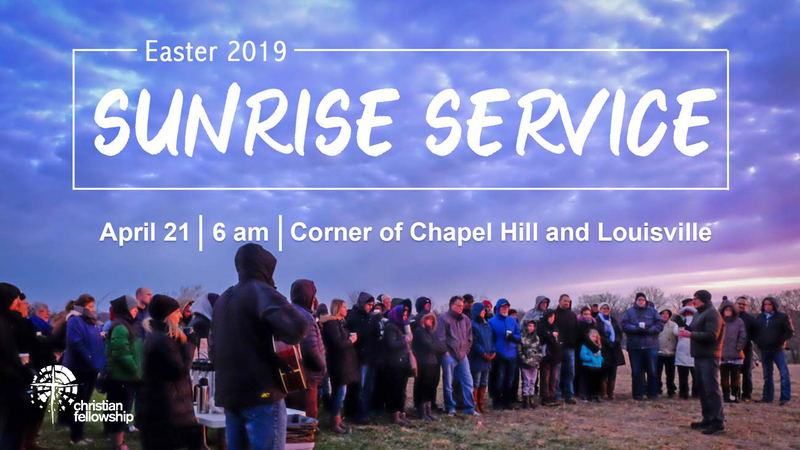 Join us for our sunrise service this Easter at our property on the corner of Chapel Hill and Louisville. 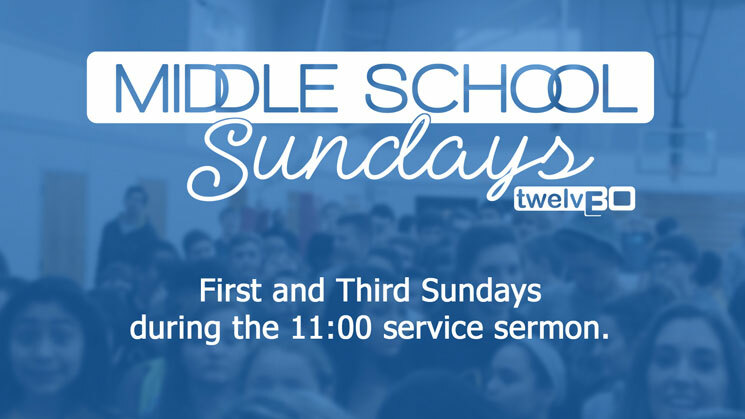 Middle school aged kids are invited to join during the second service teaching time on the 1st and 3rd Sundays. 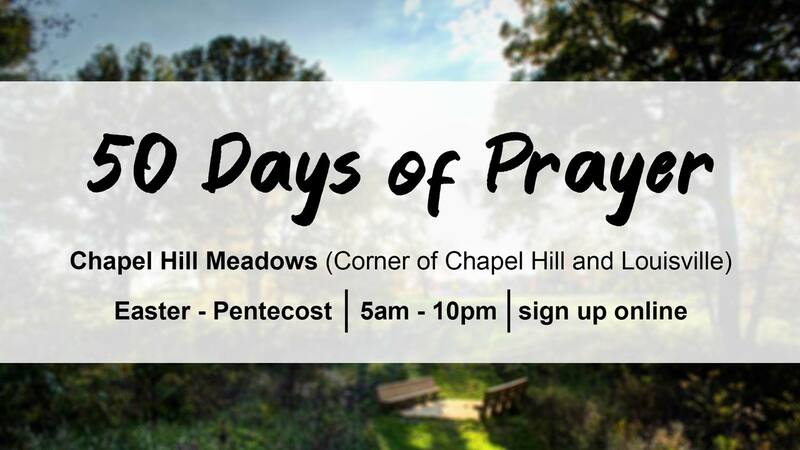 Join us in praying out at our church property between Easter and Pentecost. Join us as we serve side by side during a day of service this April! 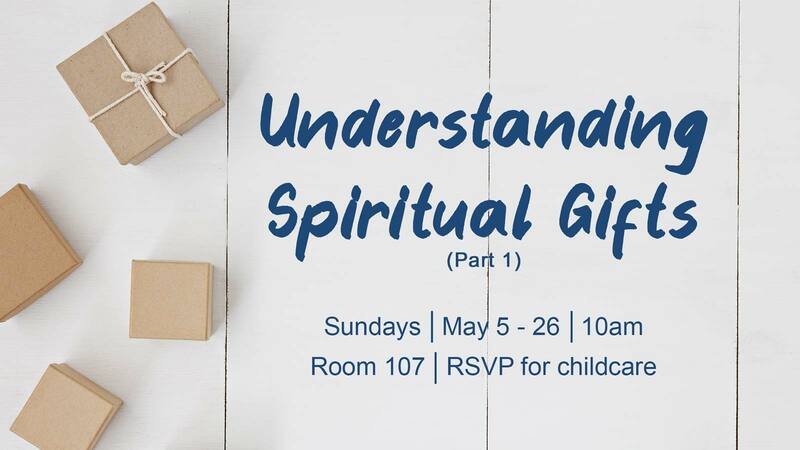 Join us for this Class to learn more about Spiritual Gifts this spring. 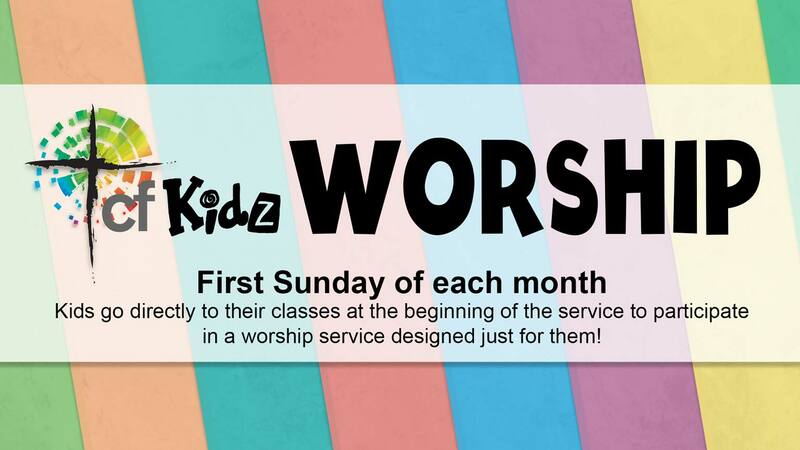 Our children - ages 3 years through 3rd grade - worship together the First Sunday of each month. 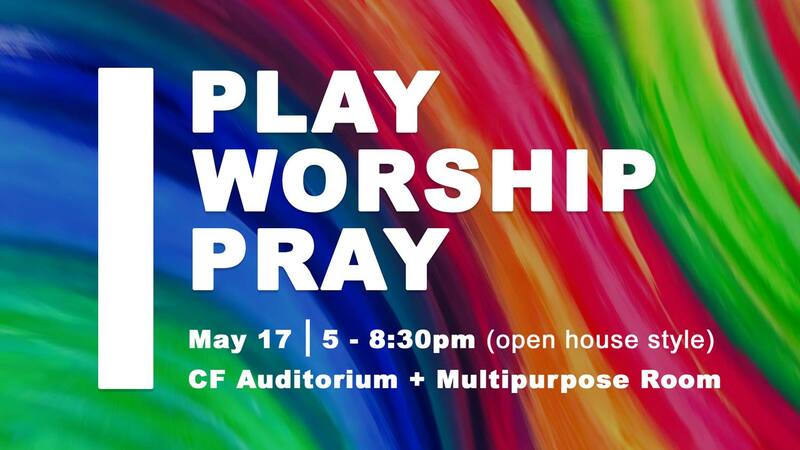 Join us for a night of food, fun, worship, and prayer! We meet to study the bible, pray and grow in our relationships with God and one another. If you are part of any local college in Columbia or if you’re college-age but not in college, we’d love for you to join us. Join the men of CF as they build relationships, grow in faith, and drink coffee! Click here for more details. This is a women's dinner and discussion group. We will be reading scripture and seeking to find Jesus in the Old Testament. Junior High AND Senior High (6th-12th grades) - this is for you. You never know what to expect - come ready for engaging worship, to hear great teaching, and have lots of fun! cfKidz Ministry Building "The 5000"
The purpose of this group is for fun and friendship. All moms and children are welcome to join us! This is a great way to meet other moms and give your child(ren) time to make new friends and enjoy old friends. Click here for more information! Practice for all musicians, singers, and sound engineers as we work on new songs and skills in leading worship. Ladies, join us for this fun, fast-paced, dance-inspired workout (Zumba)! Corporate Worship - 9:00 a.m. and 11:00 a.m.
Join us for one of our morning services at 9:00 a.m. or 11:00 a.m. Kids are encouraged (but not required) to dress up and have fun with our monthly dress up theme. Why, you may ask? For fun! Of course! Check in your child at the start of the service and pick them up at the end of the service. Come join those who pray for the upcoming services - that the Living God would meet with each one who attends. This group meets together to discuss the Bible reading in the context of our lives before our Sunday morning service. We have all ages of men from many different stages in life. We welcome you to join us. This is a meeting geared specifically for middle school aged (6th-8th grades) kids offered during the teaching time in our 11:00 am service, on the 1st and 3rd Sundays. Click here for more info. If you are new to Christian Fellowship and have not yet attended one of our Newcomers’ Gatherings, you are invited to join us for lunch on Sunday, April 7, at 12:30 p.m. in our Multipurpose Room. This is a low-key, casual opportunity to get to know some of our pastors and staff as well as some other people who are new to CF. We will have a buffet; families will eat together and then kids between the ages of one and eleven will go to the gymnasium for a time of supervised play. Hope to see you there! RSVP by clicking here. Practical ministry blessing breast cancer patients by making and delivering special pillows and seatbelt covers. 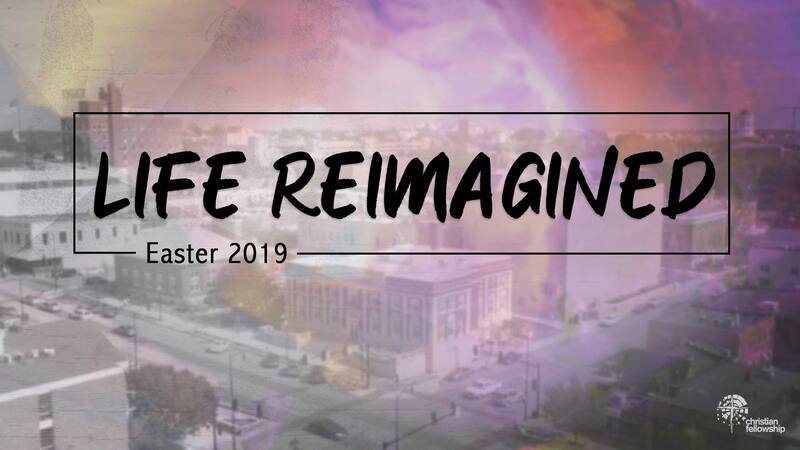 Christian Fellowship Church is excited to be a sponsor of the 2019 Unbound Book Festival. We are going to read The Adventures of Joe Harper by Phong Nguyen, one of the books featured in the festival and then have a discussion on Wednesday, April 10. Click here to learn more. Come as we share communion this Sunday. We partake of communion corporately on the 2nd Sunday of each month. Come to the gym for open gym night (ages 5 years old to 5th grade). A game of soccer or basketball is always happening during this time. This is not a drop off your child event. You must participate with your child to attend. Note: This occurs during our 3rd service gym time. cfKidz classes and nurseries will be open this evening during our Good Friday celebration. This year on Good Friday, we will have a time of worship together as a community in our auditorium. cfKidz Ministry will be available for children birth – 5th grade. 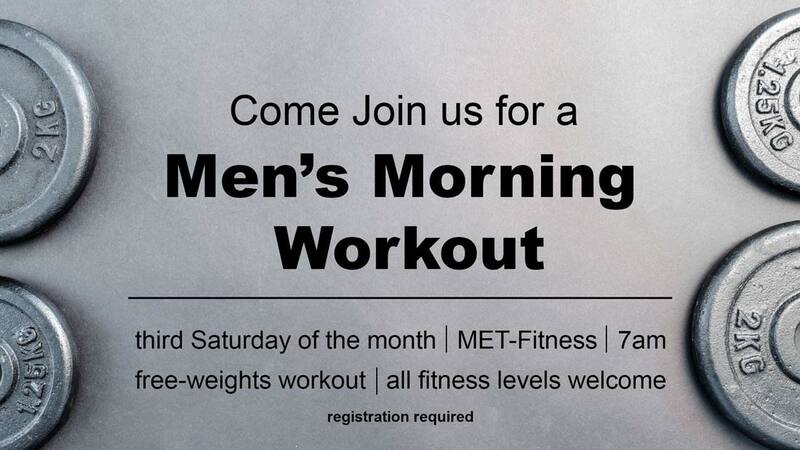 Join other cfMen to workout at Met Fitness here in Columbia. More information here. After our 9 and 11AM services and during our 4PM service we will have a Party in the gym with prizes, games, activities, photo booth and more. Plan to stay after service with us for a while to celebrate the Resurrection with this fun family event. We will have a short sunrise service Sunday, April 21 at 6:00 am at our Chapel Hill Meadows property (corner of Chapel Hill and Louisville). 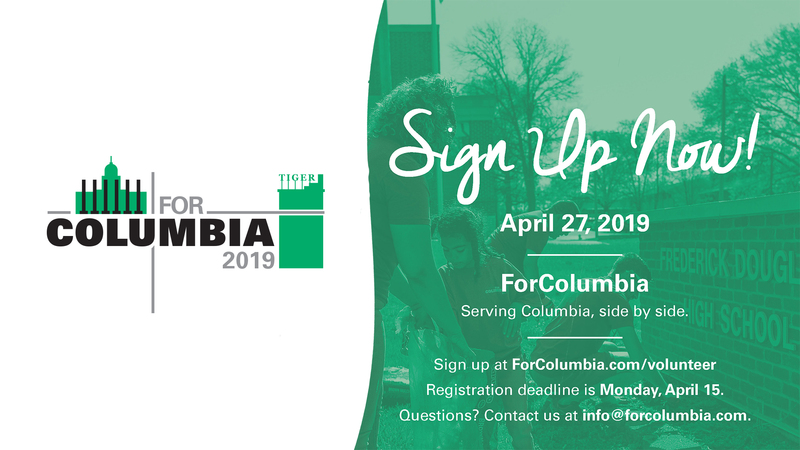 Join us as we work together with churches throughout Columbia to serve our neighbors. Click here for more information and to sign up!